I was invited to give a talk about my photography in Lancaster, UK at the end of the Month. Preparation got me thinking about some examples of my early work. These three were all shot in Mexico for a project entitled Living on the Edge, 1998 which is a compare and contrast of both sides of the US / Mexico border. I’ll update this post with more info soon. 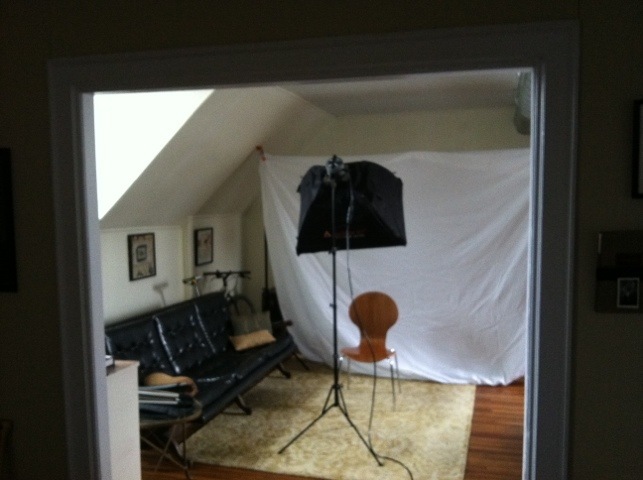 Testing a my first mobile (iPhone) post and about to do a head shot in my mobile home studio. Recently I updated my photography website and removed all commercial related content leaving mollyjarboe.com dedicated solely to my fine art work. I’m thinking about starting a separate site dedicated to portrait and event photography and making more than a passive go at this kind of work on the side. Here’s an example of a portrait I took of a little friend of mine named Aksel. I’m trying out a new logo too.